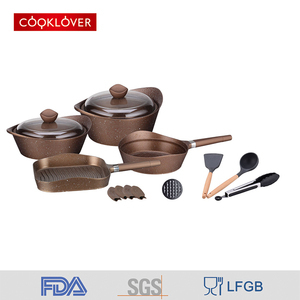 Product: The various range of global kitchenware, Product Integration , save your cost of purchasing & inventory. Q: Price A: Price is floating so please keep in touch with our customer service to get more information, picture and lastest price. Q: Material A: Raw material depends on different quality level of products, which can be divided into A and B levels. Handle and knob : Stainless steel & Silicon combined handle and knob . 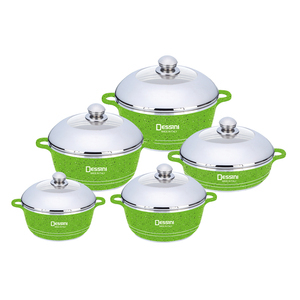 2)Your logo can be stamped on the bottom of cookware. 4)Sample is available before order confirmation. 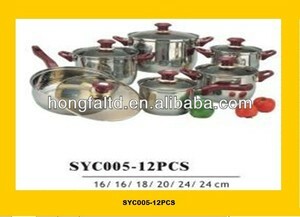 7 YRS Yongkang Youlian Machinery Co., Ltd.
Alibaba.com offers 7,313 marble cookware products. About 54% of these are cookware sets, 25% are pans, and 9% are soup & stock pots. 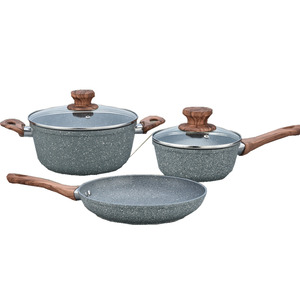 A wide variety of marble cookware options are available to you, such as fda, ce / eu, and sgs. 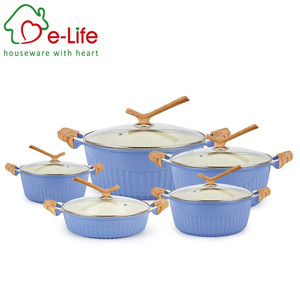 You can also choose from cookware sets, pans, and soup & stock pots. As well as from eco-friendly, stocked. 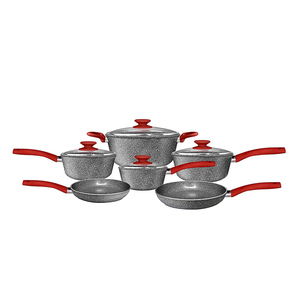 And whether marble cookware is aluminum alloy, stainless steel, or carbon steel. 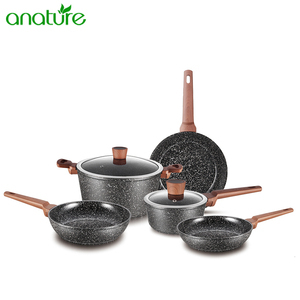 There are 7,313 marble cookware suppliers, mainly located in Asia. 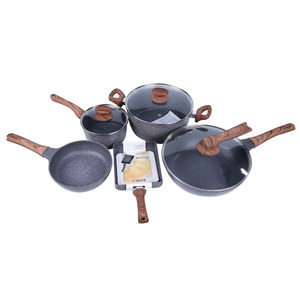 The top supplying country is China (Mainland), which supply 100% of marble cookware respectively. 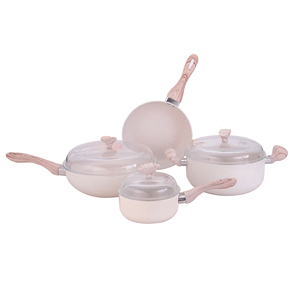 Marble cookware products are most popular in North America, Western Europe, and South America. You can ensure product safety by selecting from certified suppliers, including 1,270 with ISO9001, 426 with BSCI, and 274 with ISO14001 certification.